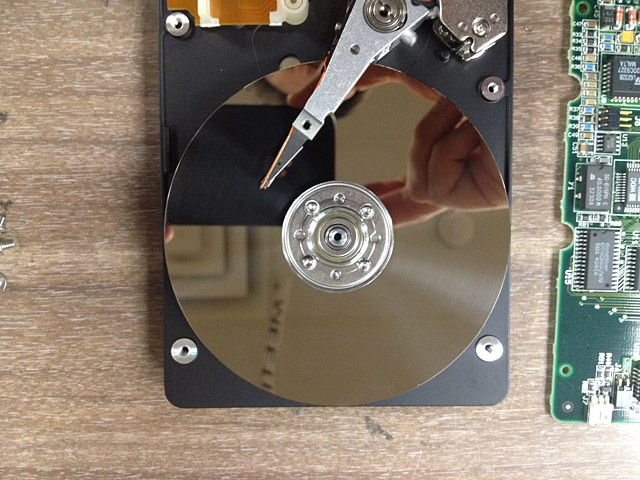 A few of us have been working on a project each Tuesday night which involves dismantling old hard drives. 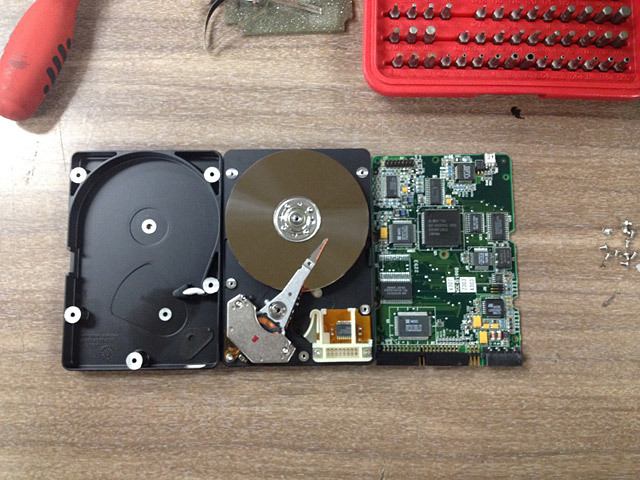 What do you get from an old hard drive? 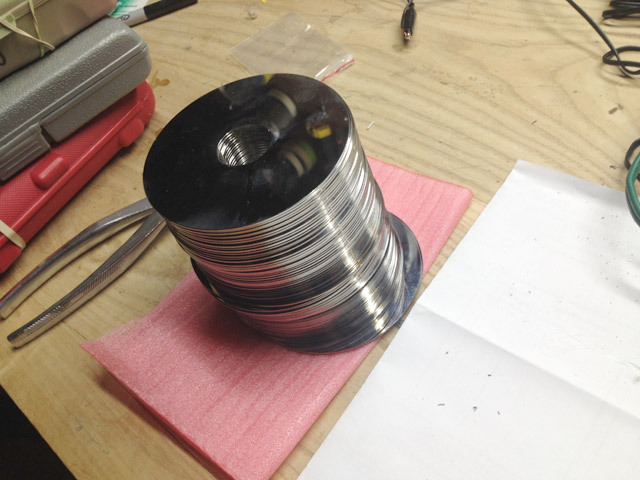 We’re saving the cases for an Aluminum pour at Maker Faire Milwaukee, the motors are super-fast and super-quiet, there are some tiny bearings we might use, and there are powerful magnets, some of which we’ve used to hold tools to the wall in the past, and finally, those shiny, shiny platters! This entry was posted in Uncategorized and tagged makerfaire, makerfairemke. Bookmark the permalink.